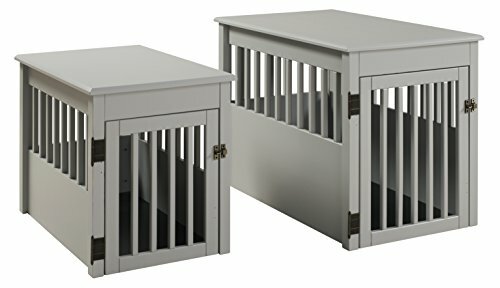 The BarkWood Pet Crate is designed to double as a safe, cozy enclosure for your pet, and as a decorative piece of furniture to go alongside a sofa, or anywhere in your home. 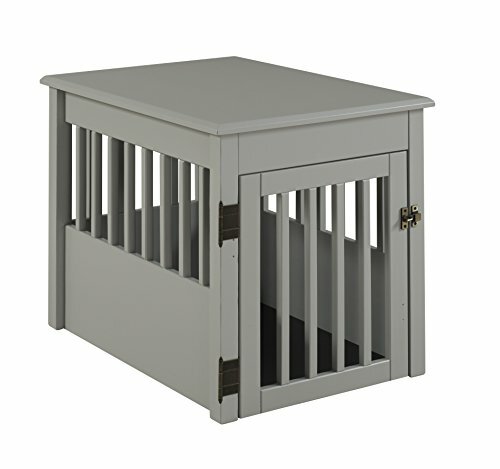 This pet crate is constructed of 100% solid wood for extra strength and durability. 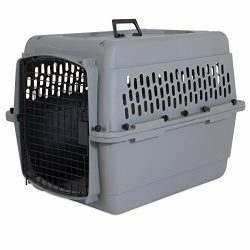 The open slats that surround the crate allow maximum ventilation for your pet. 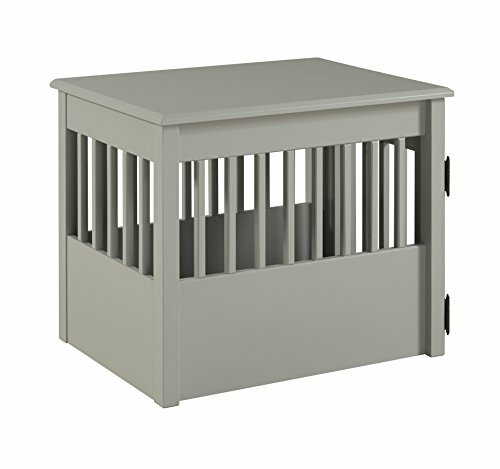 The slats feature mortise and tenon construction for added strength and durability. 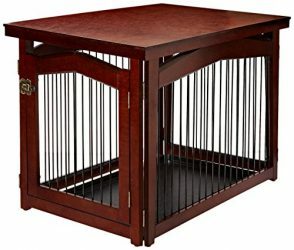 The BarkWood Pet Crate is available in four distinct decorative finishes, to easily combine with your homes decor. The multi-step protective finish cleans easily with a damp cloth. The inner floor is protected with a rubberized coating, in order to minimize liquid absorption and make for easy clean up. 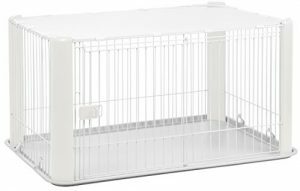 In addition, the BarkkWood Pet Crate features a wraparound door that swings open completely to the side of the crate, allowing optimal use of space and maximum access to your pet. 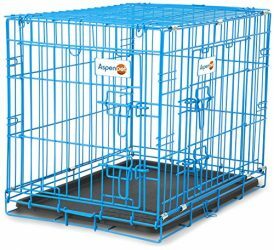 The door can be set up on either side for left or right side door opening.The decorative, sturdy, steel, door latch allows you to safely confine your pet when needed. 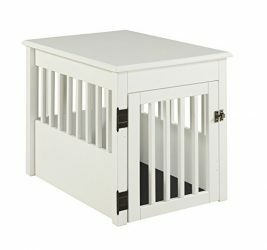 The BarkWood Pet Crate comes with four floor protectors, to place on the bottom of the posts, to prevent damage to your floor and raise the crate up, slightly off the floor.Made of 100% solid wood – no use of particle board or MDF!